Cycling coaching for sportive riders, road racers, time trialists, mountain bikers, cyclocrossers and recreational riders. Bike fit expert. 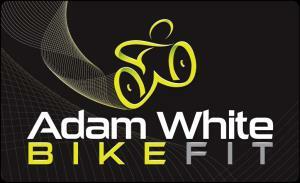 One to one cycling coaching.Customised training plans.Retul bike fitting.Please visit www.adamwhitebikefit.co.uk for further details. Adam is a sports scientist, graduating with an Honours degree from Brunel University. His background in science and research underpins his coaching philosophy to treat each athlete as unique and to provide the most comprehensive coaching service available. As an expert in training with power and heart rate, athletes coached by Adam can expect an exceptionally thorough service.In addition to his degree Adam is a British Cycling certified coach and Retul bike fitter.Adam is based in Reading, Berkshire where he runs his bike fitting and coaching business from. He is a career coach and bike fitter and is a passionate and experienced cyclist having ridden and raced his bike since the junior categories. He rides and races on the road, time trials, mountain bikes and loves cyclocross. Success. Coach Adam White has been notified of your message.